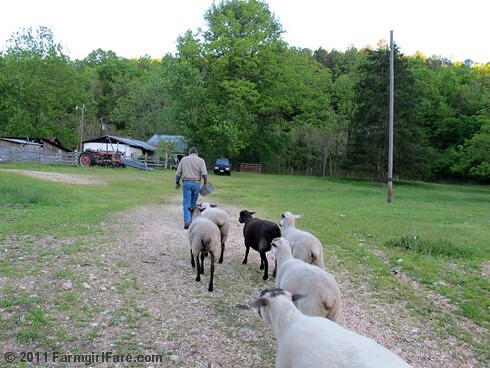 © FarmgirlFare.com, where my hunky farmguy Joe says the sheep will follow him no matter what he's carrying, even a six-pack of beer. I think it's because they love him so much. 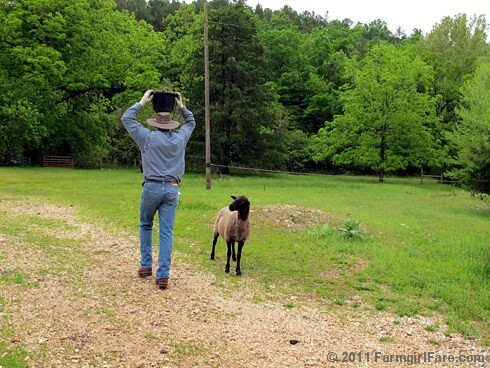 Everybody knows sheep don't drink beer—at least not while you're looking. And yes—that's actually The Shack! They really are the funniest creatures!!! Any chance of a cauliflower soup recipe? Winter here in Australia and I'm looking around for a good one. "Food, food, food, food, food... what?" 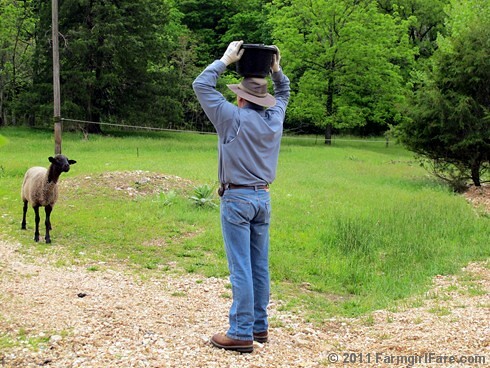 Don't walk into our pasture with a bucket. But, if you do - you'd better have on tennis shoes. Cause the horses will take you down for it.